Michigan Basketball sent out a tweet Monday morning announcing the Wolverines game against rival Michigan State on February 24th would be a “Maize Out” game and the 1989 National Championship team would be honored that day. The Big Ten Conference store unofficially took the wraps off the special uniforms Michigan will wear that day. The Wolverines first alternate uniform from Jordan Brand will be a new maize version of the Block-M Michigan uniforms worn by program legends Glen Rice and Rumeal Robinson en route to the Wolverines winning the National Championship over Seton Hall in 1989. Michigan wore a white version of these uniforms on January 10, 2015, when Adidas still provided the team’s uniforms. 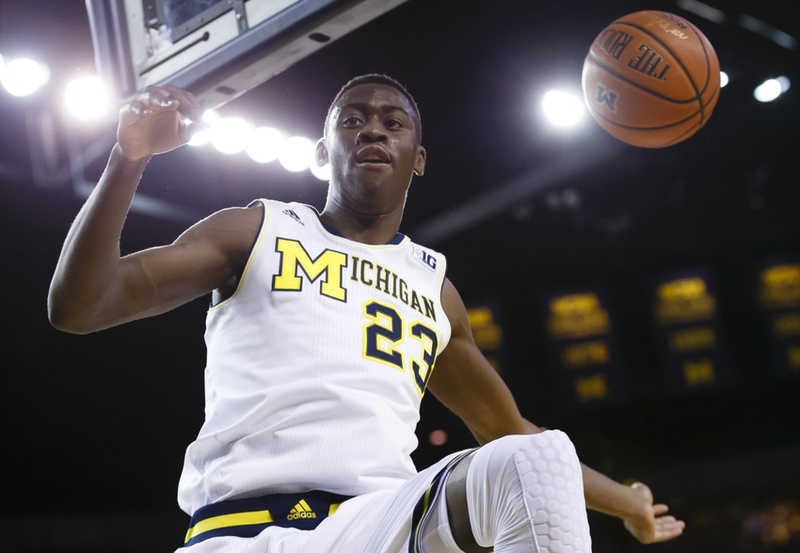 Michigan trailed Minnesota 49-40 at home with less than nine minutes to play in that game but rallied for a 62-57 win behind a pair of 15 point efforts from Caris LeVert and Derrick Walton Jr. The Wolverines also wore a blue version back in 2009 against Ohio State in a road loss to the Buckeyes. Michigan has not worn an alternate uniform outside of the normal three sets (White, Blue, Maize) since Jordan Brand took over as the uniform supplier for the 2016-17 season. The Wolverines wore a variety of alternates during Adidas tenure from 2008-2016, including different uniforms for the postseason from 2014-2016. Based on early social media reaction, these uniforms are sure to be a big hit among Michigan fans, especially considering the retail version is being sold with Glen Rice’s number 41.